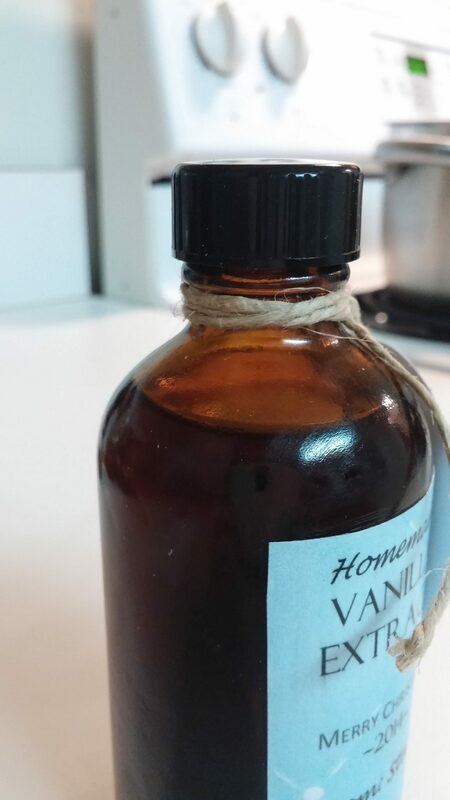 Homemade Bourbon Vanilla Extract for under $5! I love homemade gifts. They mean so much more when you receive something that a loved one put time into. 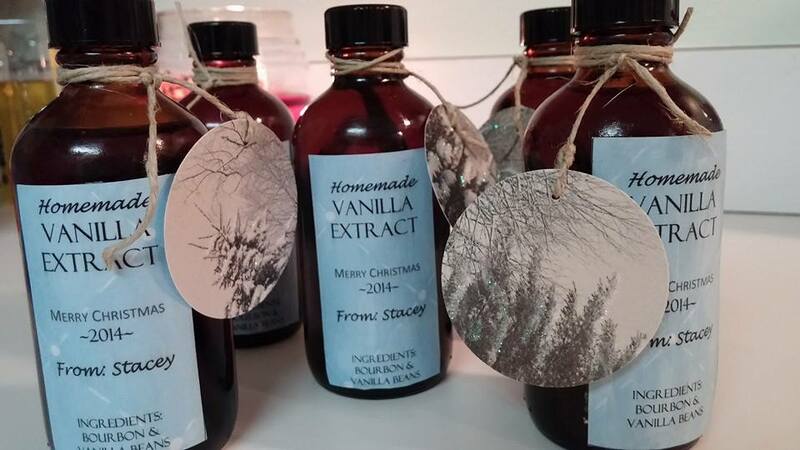 I had a DIY vanilla extract recipe pinned on my Pinterest for about two years. Every year when Christmas rolled around I had every intention of making it for friends and loved ones, but it just never happened. This year I stuck to my plan! 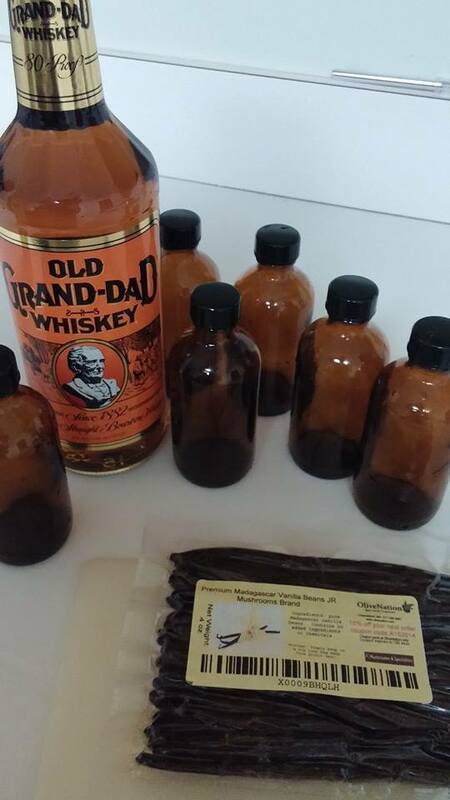 I headed to the liquor store and bought a bottle of bourbon, purchased some vanilla beans online, and bought some Amber Boston Bottles. The recipe itself is an easy one to go by. I followed the recipe that I found HERE. 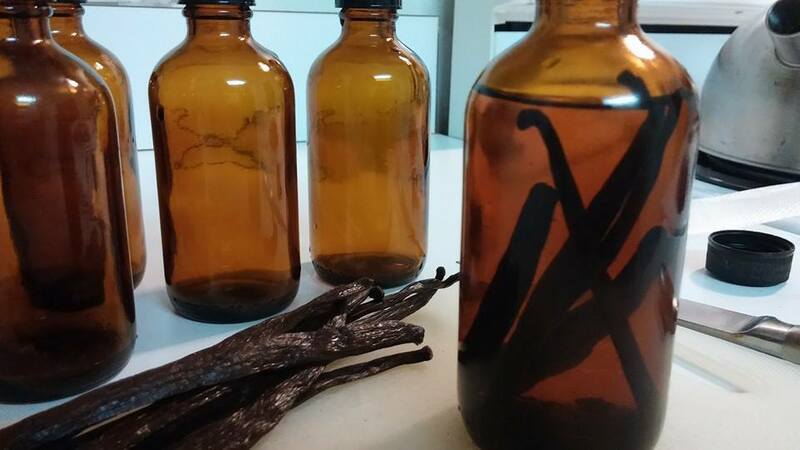 What do you need to make homemade vanilla extract? Slit the vanilla bean down the middle. I cut mine in half so that it would fit better in my bottle. I also put 3 beans in each bottle. Add the liquor of your choosing. I filled each bottle pretty close to the top (as you see in the picture below). I used 4 oz bottles and was able to fill the 7 bottles I had in hand with enough Bourbon to fill an additional bottle (if I had another). As I stated, I used Bourbon. From the various posts I read online; most people typically use Vodka, Brandy, Bourbon, etc. Bourbon is supposed to give a unique flavor, I decided to live on the edge and try it. It also doesn’t matter if it’s a high or low quality liquor, I cut my cost by using one of the cheapest kinds. Since it was for presents; I decided to make a label to add to it. I threw it together on Word. I had seen a similar one online somewhere (sorry, couldn’t find the post), which was my inspiration for it. I printed it on scrapbook paper and cut out circles from an old Christmas card with a, “DON’T — USE UNTIL” date on it. I specifically used Madagascar Bourbon Vanilla Beans, but there are different ones that are supposed to give off a different flavor. I may make this a yearly tradition, but switch it up every year with different vanilla beans and types of liquor. Here is one of the bottles two months later. You can see how much darker it got since the first day. This is such a cheap and easy gift that anyone will love. The total cost for each individual bottle of extract was UNDER $5! Like I said, I made it for Christmas gifts, however, it’s also a great birthday gift, mother’s day, teacher appreciation, or just because! 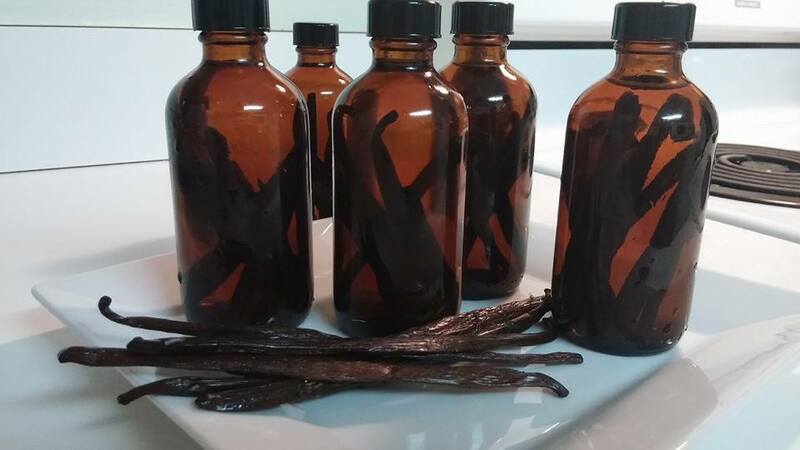 I love making my own homemade vanilla extract. 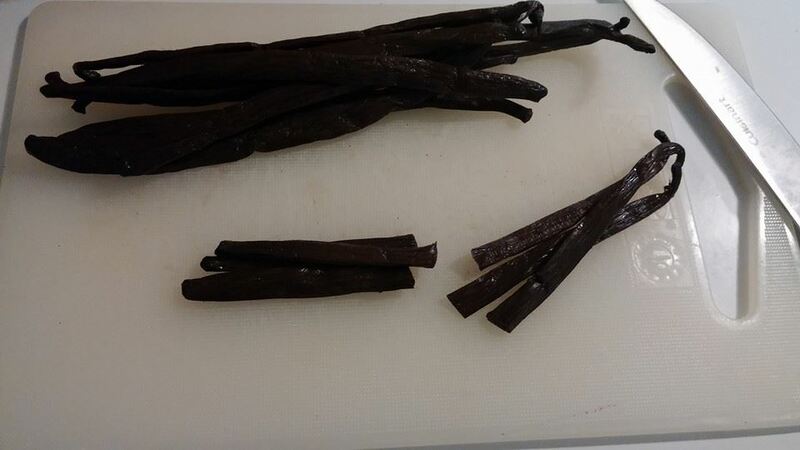 I love the way the vanilla beans smell, yum! This is so awesome. I seem to run out of vanilla extract all the time! You could even buy a small bottle (or large, I don't judge. lol) and put the vanilla beans straight in the bottle. Thanks for sharing! I am also a DIY girl and love making DIY gifts! I have made DIY lip balm, body butter, stove-top potpourri, melting wax potpourri, and laundry detergent. I can't wait to try this! I too have done Laundry detergent. My family from out-of-town had an issue not seeing it sud, lol. This is a wonderful gift! I've been seeing this on Pinterest, but I love that you detailed the cost! Thanks for sharing! Everyone who received it loved it! This is the easiest DIY I have ever done. Almost a year later, I'm still working on the same bottle! It's great! I just add more alcohol as I get low. That's what I plan on doing too!